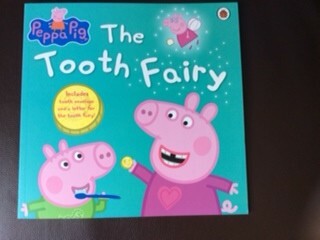 At Bridge Dental Clinic we have some lovely books for your children to read as they wait to see the dentist. Peppa Pig a great favourite with youngsters talks about the tooth fairy and losing a tooth. 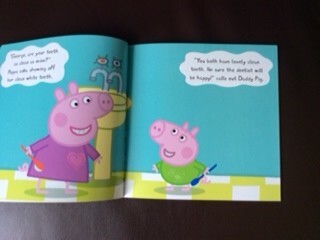 The book also gives some lovely tips on nice healthy teeth for youngsters. 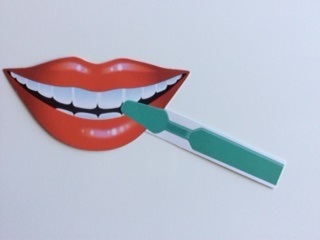 National Smile Month, is the UK’s largest and longest-running oral health campaign. Together, with thousands of individuals and organisations, National Smile Month supports three key messages. 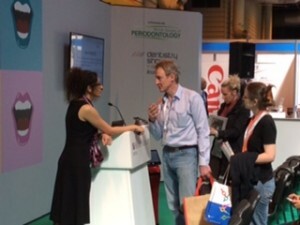 The aim is to ultimately improve the nation’s oral health. 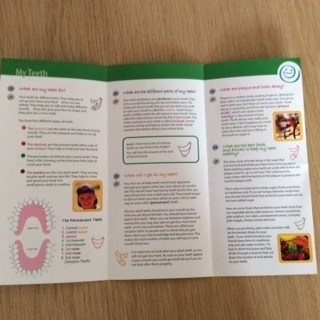 The Bridge Dental has an excellent range of leaflets on Dental treatments, published by the British Dental Health Foundation. One of these leaflets is about My Teeth. 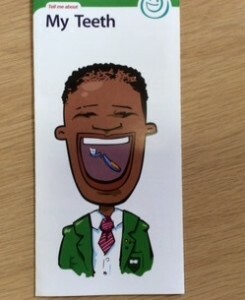 This particular leaflet explains; What are my teeth for? What are the different parts of my teeth? What are plaque and tooth decay? What is the best way to brush my teeth? 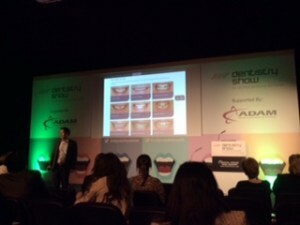 They are well laid out and explain in good plain english questions that crop up during Dentistry. We will cover some of these topics to give you clear explanations of your dental questions. Or if you have any questions please do get in touch. Children’s dental health should always be a priority. Strong healthy teeth and gums will ensure good dental health in adulthood. By bringing your children along with you for regular check-ups, children are getting into the habit and routine nice and early. “Prevention is better than cure.“ Give your children the start they deserve. They gain confidence with the surroundings of the Clinic and with our staff. At the Bridge Dental Clinic we recommend check-ups from the age of 3 years old. Detection of decay at an early stage is vital to be able to treat the child with a realistic chance of being able to do it with the minimum of fuss. Remember children don’t have decay in their teeth when they are born! As children grow, an early assessment of their bite and a review of the occlusion, can help predict the need for Orthodontics. You do not have to wait until the teenage years to correct Orthodontic problems. There is so much that can be treated easily and far cheaper from the age of 7 – 8 years old. Rather than waiting until the discrepancy is very badly entrenched and the child has had to live with their crooked smile for years, totally unnecessarily. Your Smile…. A Very Good Reason to visit your Dentist. Your smile is undoubtedly your single most important facial feature. It is a vitally important part of your first impression. If you ask most people what they notice first, when meeting someone, it’s the smile. A nice bright happy smile immediately makes a good impression. In this day and age, there is no reason why you cannot have the smile you have always wanted. From a simple scale and polish and teeth whitening, to more extensive treatment, such as Vineers, Crowns or Orthodontics. Why not visit us to discuss your options. Absolutely no problem with that. It would be my pleasure to show you exactly what can be done. 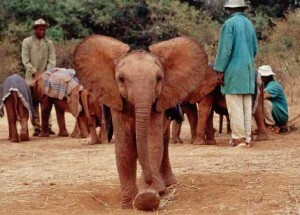 Why the Elephants on the Clinic’s web site? 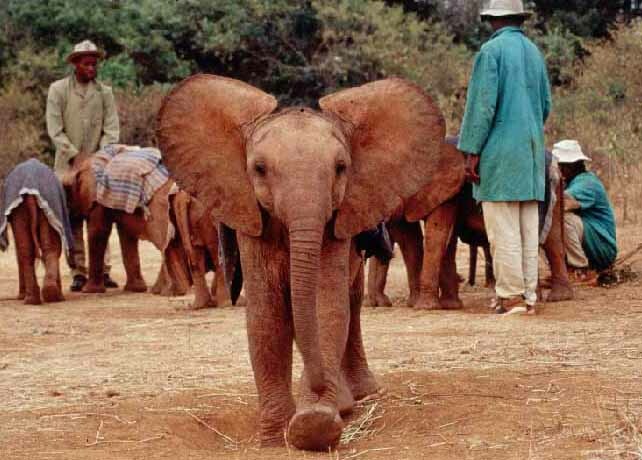 Dr. Dame Daphne Sheldrick CBE and the David Sheldrick Wildlife Trust. The Bridge Dental Clinic supports Dame Daphne Sheldrick’s remarkable orphan elephant and rhino program, in Nairobi, Kenya. This incredible lady, supported by her daughter Angela, have overseen the creation of the David Sheldrick Wildlife Trust. Founded in 1977, in honour of the memory of her late husband, David, founding Warden of the Tsavo East National park. Daphne and Peter Jenkins, her late brother, are my cousins. 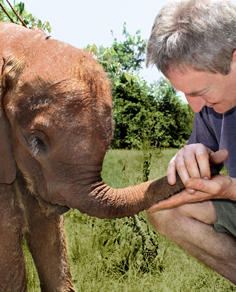 My visit to the Orphanage in Nairobi in March of last year, to meet Daphne, was an incredible experience and I urge you to google the DSWT and see the absolutely amazing contribution that the Trust makes to the rehabilitation and protection of Kenya’s threatened Wildlife and Wildlife Habitats.